Jane says, “I’m gonna kick tomorrow.” Yeah right! These summertime rolls are too damn good! Bring a pot of water to a boil. Throw in the raw shrimp and boil until pink (approx 3 min). 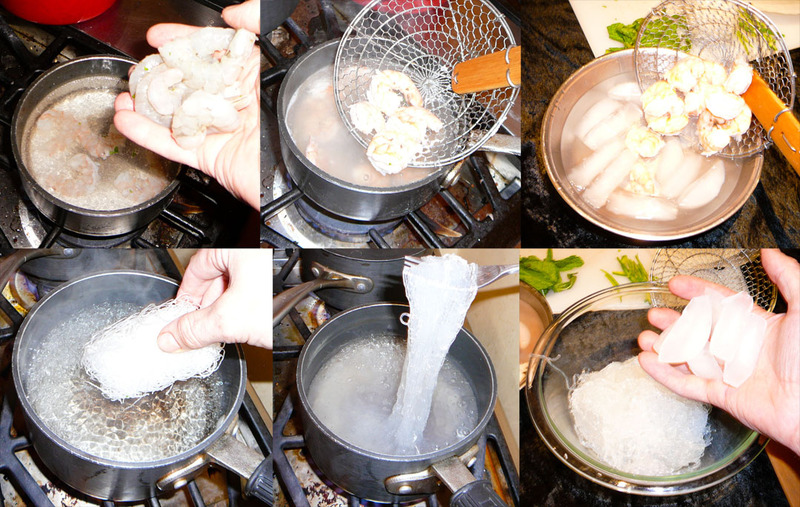 Remove the shrimp and place in icy water. Throw the bean thread noodles into the boiling water and stir until soft (approx 2 min). Remove the noodles from water, toss in a bowl and throw in some ice to cool it down. 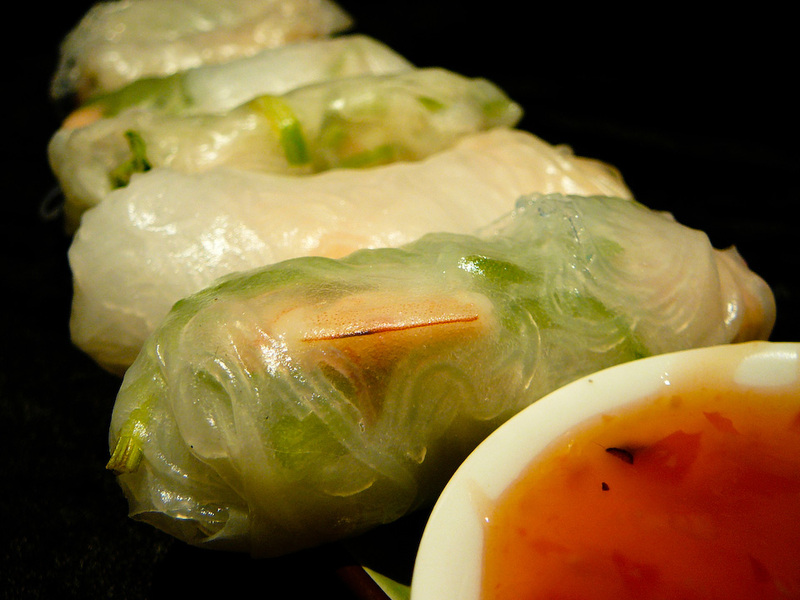 Submerge the rice paper wrap into the water down except your clutching fingertips. After a moment, remove from the water and quickly lay it flat on a pan or cutting board. 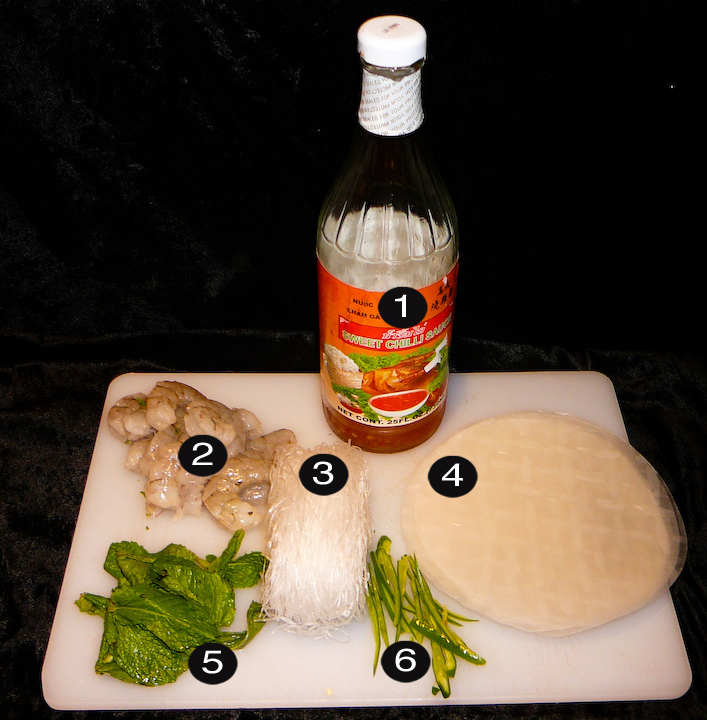 Add a pinch of the cooled bean thread noodles to the middle of the rice paper. Place two mint leaves, strips of jalapenos, and shrimp. Roll the top edge tightly down over the contents. Repeat on left and right side. Finish with some tight rolling with the bottom fold. Roll up five more and your summer may commence. 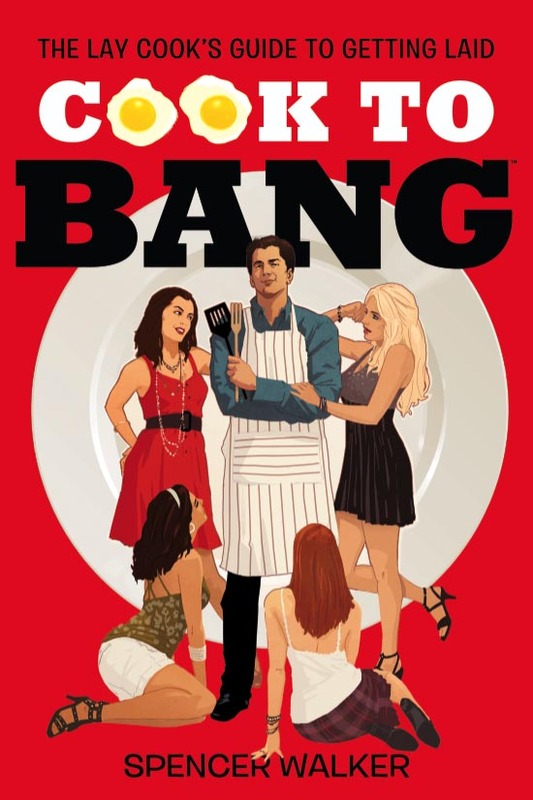 This entry was posted on Monday, June 9th, 2014 at 9:21 am and is filed under aphrodisiac, APHRODISIACS ANONYMOUS, asian, cambodian, FINGER FOOD FOREPLAY, healthy, RECIPES, seafood, spicy, summer. You can follow any responses to this entry through the RSS 2.0 feed. You can leave a response, or trackback from your own site. Heya! in order to consult what is involving template to be able to employing your own web site? bless you.